Or as low as $134.99 per month over 6 months. Apply Now. Finish: Dark gray, high-grade automotive carpet with “JL AUDIO” embroidery on the top edge and “Slot-Ported BassWedge™” embroidered on the port mouth. 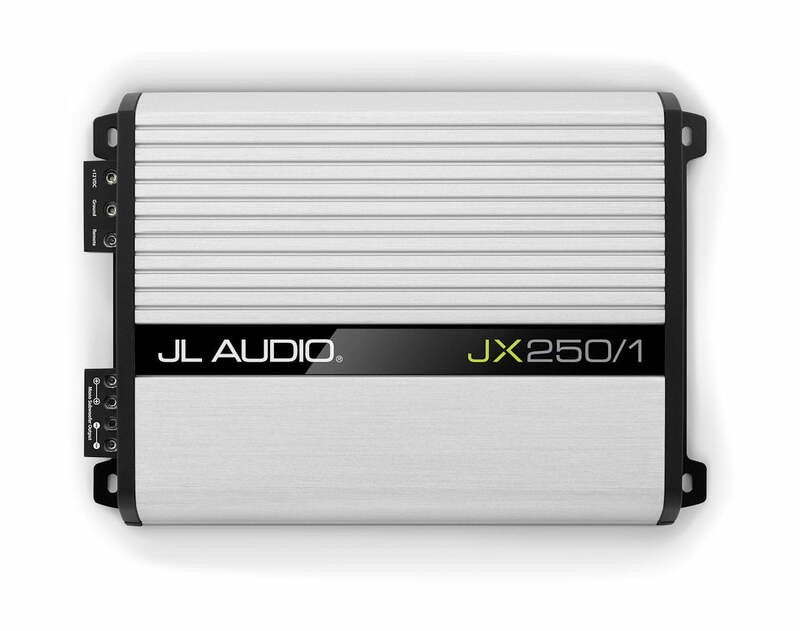 This rugged and reliable JL Audio JX250/1D Class D monoblock uses a robust MOSFET power supply design that delivers rock-solid bass performance at a very affordable price. Targeted specifically for subwoofer applications, it includes a low-pass filter with continuously variable cutoff frequency selection from 50-200 Hz. It also features a variable bass boost at 45 Hz. with up to 12 dB of boost and an optional remote boost control. 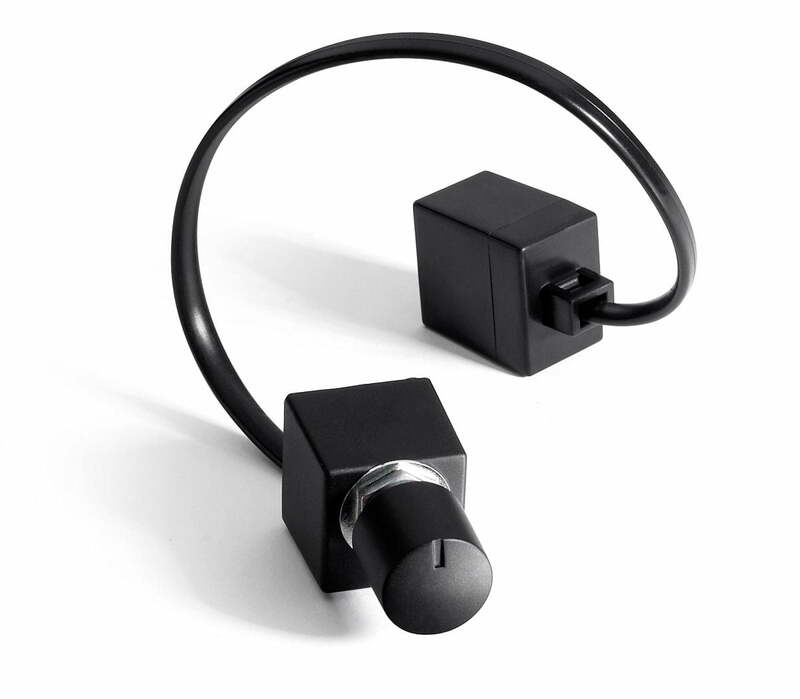 Dedicated hi-level inputs are included, in addition to conventional low-level RCA inputs and a set of pass-through preamp outputs, making it easy to integrate with a variety of OEM and aftermarket head units. 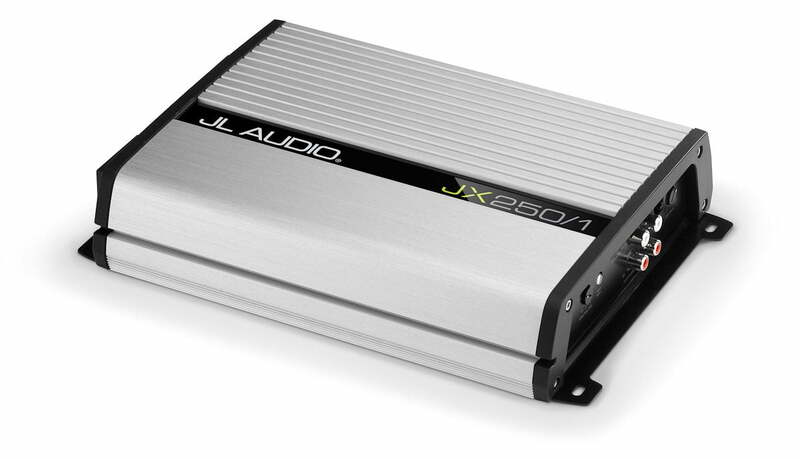 JL Audio’s JX250/1D mono amplifier will power your subwoofer with up to 250 watts RMS, so you can experience powerful bass in your music. A variable low-pass filter and bass boost help you tune your sub to sound its best in your system. An optional remote level control lets you turn the sub up or down from the front seat. You know you’re holding a serious piece of sound equipment when you feel the heft of this tiny JX amp. JL Audio built it with sturdy, high-grade parts that ensure excellent heat management, provide high current flow, and deliver stable performance in almost any situation. 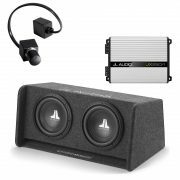 You won’t find blinking lights or meters on the outside of these amps, but you will find oversized output transistors and rugged MOSFET power supplies inside. 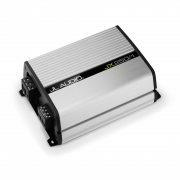 The high-mass aluminum heatsink keeps things cool enough to virtually eliminate thermal shut-downs.